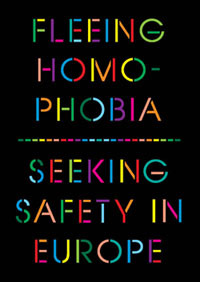 The Fleeing Homophobia project now accept papers for its conference at the VU University Amsterdam this fall. Each year, thousands of lesbian, gay, bisexual, transgender and intersex (LGBTI) asylum seekers apply for asylum in EU Member States. During the Fleeing Homophobia project, Sabine Jansen (COC Netherlands) and Thomas Spijkerboer (VU University Amsterdam) have undertaken a comparative research about how these applications have been dealt with. Further to their findings, they have formulated policy recommendations. The conference intends to share the research findings with a wider audience; to discuss the consequences for policy makers, decision makers, the judiciary, lawyers, NGO’s and activists; and to see how academic research can be made fruitful for asylum practice, and how practice can inform further research. The conference is scheduled to take place September 5-6 2011 at the VU University Amsterdam. Sexual orientation: act or identity? Papers do not necessarily have to be finished products. Work in progress is more than welcome. If you want to submit a paper, send an abstract of no more than 250 words to Louis Middelkoop at l.p.middelkoop@vu.nl before 15 June 2011. Papers should be submitted at the latest on 15 August 2011, and will be posted on the conference website. The conference website www.rechten.vu.nl/fleeinghomophobia is updated regularly.